Welcome to our Celtic Fairways Website. We Organize Golf Holidays in Ireland and Golf Holidays in Scotland for groups of any size. We have been providing a first class personal service to clients for over 18 years with exceptional results. 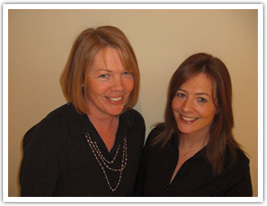 We have an experienced team and our day to day operations are led by Barbara Killeen and Darina Flynn. So, if you are ready to Play Golf in Ireland or Play Golf in Scotland let us build and manage a customized golf itinerary that meets your budget and creates a dream golfing vacation that suits you and your party. We book tee times at the courses you want to play. Include the type of accommodation you want, Castles, 4 or 5 Star Hotels, Guesthouses. Plus we organise ground transportation for when you are here whether its a luxury coach and driver or a chauffeur driven minicoach or a self drive rental. We can also organise activities for non golfers in your group, sightseeing, beauty and spa treatments, historical tours, concerts are all popular favourites… whatever your interests, Ireland and Scotland offer it all. If you have visited before and know where you want to play, click on Request Itinerary at the very top of this page and choose exactly what you want and submit your request and we will contact you as soon as we can. We will provide you with great suggestions on where to stay, the best courses to play, sights to see, most suitable modes of transport, and restaurants in which to dine. We have catered for groups ranging in size from two people who just want to play golf, to large corporate groups that include non golfers that need a separate itinerary . Maybe you have been tasked with arranging a corporate program and need assistance with innovative ideas to reward or motivate a team of Executives. All you need to do is provide us with an outline of your requirements, dates of travel, the approximate number of people in your group and let us take care of the rest!! We’ll start planning and hand hold you through the process till you are happy with your itinerary, then we follow through and make the rest happen. Whatever your requirements or preferences, contact us and we will deliver an unforgettable and smoothly run trip to Ireland or Scotland.